Booking an independent chalet gives you the flexibility to book the Meribel skiing holiday you want in one of our Meribel chalets. Our customer base is loyal and most come back year after year. You can believe the hype, Meribel is a truly brilliant destination at the heart of the famous 3 Valleys. One of the biggest and most beautifully maintained ski resorts in the world. Welcome to our Magical Mountain Playground – a place for Adventures. We take delight in welcoming our returning guests each year. They come back for the right balance of value for money, quality and good service. Relax in the knowledge that we have arranged chalet holidays for the last 20 years. Take a look at what our guests have to say about us. Our bright and spacious chalets will ensure you are comfortable and relaxed for your stay. We also believe that the charm of a chalet holiday lies in the welcome you receive. Our couples are carefully selected for their catering experience and their friendly manner. From the outset, you will deal directly with us. 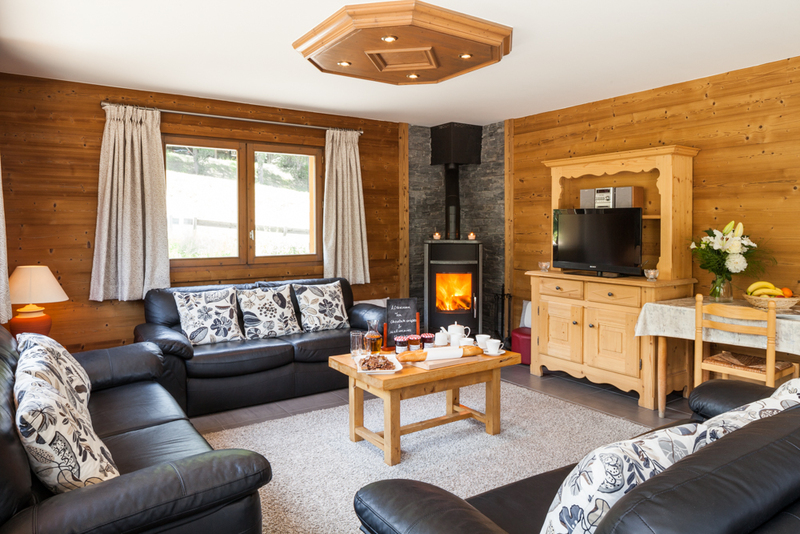 We will help you select the right chalet for you and answer any questions. Be assured, there is nothing we don’t know about skiing in the 3 Valleys. We are also on hand here in resort to oversee every aspect of your holiday with us. Wake to a cheery welcome from your hosts and a beautifully set table. The only decisions will be ‘tea or coffee’, to go for our full English ‘ski-booster’ breakfast or a lighter cold option. Return for afternoon tea and cake to keep that ‘Ski hunger’ at bay until dinner. It’s the little details that we take care of for you that makes everything run smoothly. On arrival, everything is taken care of for you. We will collect your lift passes, have them ready in the chalet, the ski shop will be expecting you and we can help with ski lessons. Just relax – we have it all covered. I don't know how you at Ski Blanc manage it but once again we've had the most fantastic ski holiday with you all! Everything is made so easy for us with all you provide and the staff are just so friendly and professional and are truly a credit to you! Special mention must go to both Scott & Holly who were just the perfect hosts ...... and I really mean perfect, and of course Jenny who just seemed to be our personal chauffeur for the week, always there when we needed her. The chalet was perfect for me, I stayed there last week and enjoyed every moment - the friendly service and attention to detail and the food provided by Ben and Millie was excellent and my room clean and very comfortable. I loved it! and the skiing was great. You should be very proud of your staff and the service they provided. It was a great trip, and we returned home with many, many happy memories thanks to all of you! Just had an amazing week. 2nd year we have been with Ski Blanc at half term. Fabulous value for money and made to feel so at home. We will definitely be back next year. Last week we had the pleasure of staying at Chalet Foehn with our fabulous hosts Hannah and Alex. I am most grateful for the expertise in the entire process from door to door. All the staff were fantastic and so friendly. Jenny was a star driving us when required. Our hosts were unreal and produced spectacular meals on every occasion and never missed a beat to keep the chalet running smoothly. We just wanted to say thank you and well done again for a lovely holiday. What a great location les Allues is. The bubble and the bus links are so handy, it really does make the chalets in Les Allues such an attractive proposition. And what a great team Ski Blanc has there too. Everyone we met was very friendly and helpful, as ever. Rosie and Jack were a lovely couple and such great hosts. The food was great, their company and humour fantastic. The chalet worked out so well for our party size of 12. Thank you for everything you and your team did to make it a fantastic holiday. The chalet was perfect and Holly and Scott were such lovely hosts. 30 March Special Offer!!!!! Still planning this season's snow fix? We have a lovely Meribel chalet to come & enjoy. 100m to ski lift. Hot tub, wifi, all rooms ensuite, great village atmosphere on your doorstep. Meribel is the gateway to the largest interconnected ski area in the world - you'll be spoilt for choice. Delicious catering included and wine plentiful! E: info@skiblanc.co.uk & we'll book you in. 30 March Special Offer !!!! Unmissable Deal! Are you seeking a truly amazing ski area. Look no further than the best linked, high speed lift system of the 3 valleys. 600km of pistes & 200 lifts. 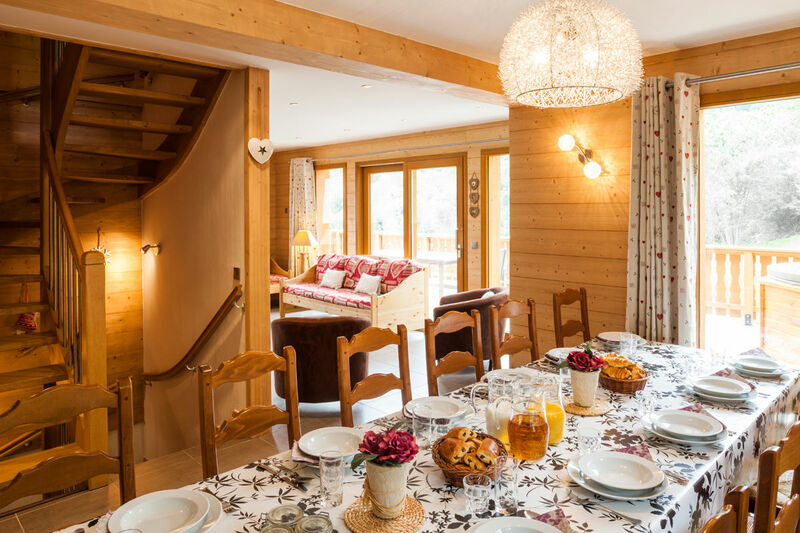 Chalet L'Erine (sleeps 12/13) is 50m to ski lift, it is a modern well furnished chalet, stunning views, hot tub, steam room, parking, all rooms ensuite, wifi, wood burner. This 'sought after chalet' is available to book. E: info@skiblanc.co.uk & we'll book you in. La Vieille Scierie, enjoys a lovely central location in one of Meribel's charming villages. Offering fabulous skiing on your doorstep in this high altitude destination. The chalet (sleeps 15) & benefits from the following: spacious accommodation, open log fire, all 8 bedrooms ensuite, wifi, jacuzzi, fully catered, picturesque mountain views. E: info@skiblanc.co.uk & we'll book you in. 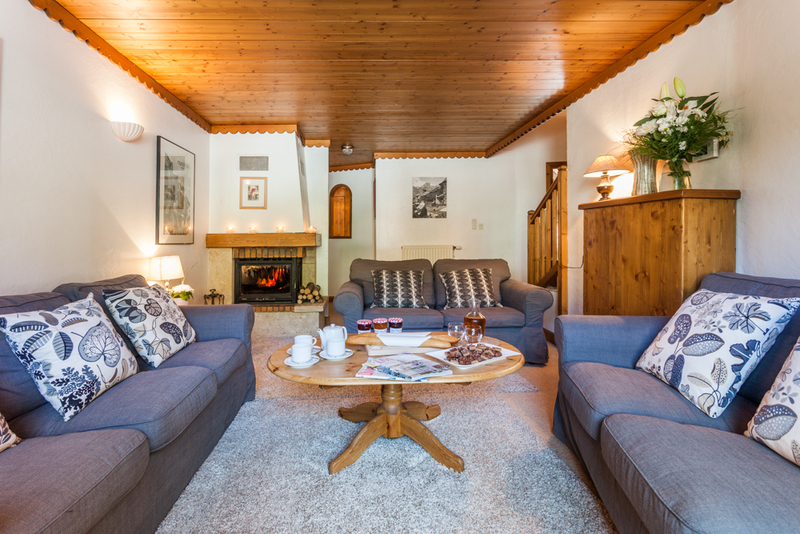 Our super popular Meribel chalet Les Sauges is still available for 30 March. Nearly booked out for the season, grab one of the last weeks available for your friends or family. Within a few hundred metres of the ski lift to whisk you up to the Meribel slopes and fabulous 3 valley skiing. Enjoy apres ski in the hot tub & steam room and spa zone, with sauna too and cosy nights in by the toasty wood burner. Contemporary bedrooms & ensuites, wifi, parking, plenty of ski & boot storage. E: info@skiblanc.co.uk & we'll book you in. 06 Apr Special Offer !!!!!!! Our super popular Meribel chalet Les Sauges is still available for 06 April. Nearly booked out for the season, grab one of the last weeks available for your friends or family. Within a few hundred metres of the ski lift to whisk you up to the Meribel slopes and fabulous 3 valley skiing. Enjoy apres ski in the hot tub & steam room and spa zone, with sauna too and cosy nights in by the toasty wood burner. Contemporary bedrooms & ensuites, wifi, parking, plenty of ski & boot storage. 06 April Special Offer !!!!!!! La Vieille Scierie, enjoys a lovely central location in one of Meribel's charming villages. Offering direct access to the largest interconnected ski area in the world.The chalet (sleeps 15) and benefits from the following: spacious accommodation, open log fire, all 8 bedrooms ensuite, wifi, jacuzzi, fully catered, picturesque mountain views. E: info@skiblanc.co.uk & we'll book you in. 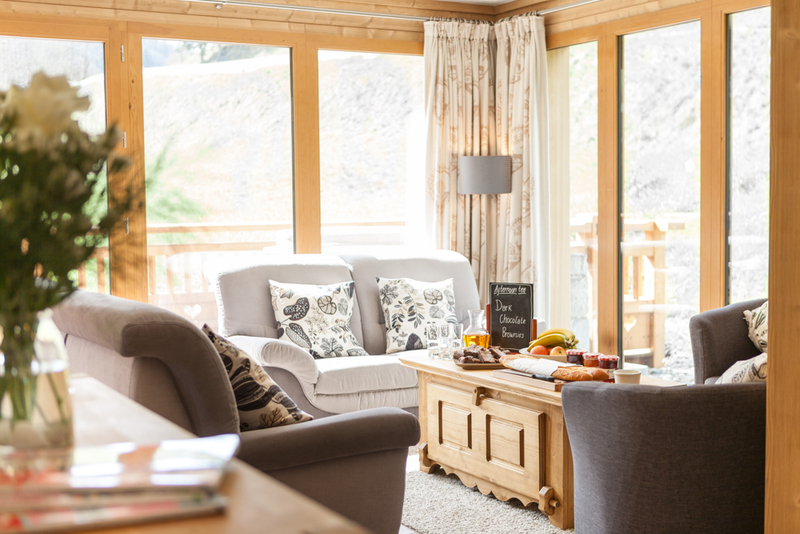 Our chalet holidays offer just the right blend of comfort and genuine value for money. Please take a look at our Prices Page plus we have Special Offers from time to time too. We aim to give great value for money and booking one of our all inclusive catered chalets Meribel, allows you to do just that! Booking one of our independent chalet gives you the flexibility to book the Meribel skiing holiday you want. We delighted to say, our customer base is loyal and most come back year after year. Access to our Meribel ski chaletsl is easy. Just 1 hour from Chambery and 2 hours from the other international gateways of Geneva, Lyon and Grenoble. Fly with one of the many budget or scheduled airlines. High speed trains from the UK to Moutiers are just 20 minutes away and we can whizz you up to our 3 valleys ski chalets. Airport transfers and pickups from train stations can be arranged at competitive rates. Car hire is also available at all airports. We are connected to the largest skiing area in the world via a high speed 6 seater gondola. More time for Meribel skiing and exploring the Three Valleys with lift passes delivered direct to your chalet and ski hire on your doorstep. Dramatic mountains and magnificent scenery. A combination of enticing rustic charm, adrenalin and relaxation. Great for skiers and non-skiers alike. The pretty setting of Meribel Les Allues offers all the charm of an authentic and unspoilt French village, yet it is only a few minutes from the heart of the 3 valleys ski area. Les Allues has plenty to offer with a tasteful selection of shops, great local restaurants & bars, and the lively La Tsaretta for après ski. If this is your first opportunity to ski Meribel then come and stay in one of our Meribel ski chalets. A free evening minibus service with dedicated drivers takes you to and from Meribel centre until 1am. This service will pick you up from one of our Meribel chalets and bring you home at the end of the night. You may want to go up to the centre and enjoy the après ski, wander round the resort or grab a drink and listen to the latest band. Based solely in Méribel Les Allues, utilise the wealth of knowledge our small privately run business has accumulated over 20 years. Advice from ski schools to the best lunch spots, childcare facilities to transfer requirements, we are always on hand from the start of your booking until the end of your Meribel skiing holiday.